The Affordable Care Act has changed the U.S. health care system, and also added some new wrinkles to filing your taxes. This week, the Notary Bulletin asks Jackie Perlman, principal tax research analyst at The Tax Institute at H&R Block, how the Affordable Care Act affects the way Notaries must report their income tax this year. 1. 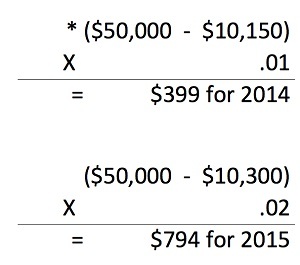 How has the Affordable Care Act affected filing income tax in 2015? 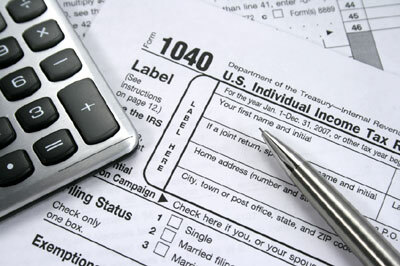 With the exception of taxpayers who can be claimed as dependents (such as working college students who can be claimed on their parents’ returns), tax filers must indicate on returns whether they had qualifying health insurance — called minimum essential coverage (MEC) — for themselves and their families the entire year. Those that did not have MEC must calculate and pay a tax penalty (the individual shared responsibility payment) with their return if they do not qualify for an exemption. Exemptions are reported on the new Form 8965, Health Coverage Exemptions, and filed with your return. Taxpayers who purchased insurance through the Marketplace (such as an exchange) and received advance premium tax credits must complete the new Form 8962, Premium Tax Credit, and attach it to their return. This form is used to reconcile the premium tax credit (PTC) based on income and dependents with advance payments, which are based on estimates. The result? The taxpayer is due an additional PTC or has to pay some or all of the advance credit back. 2. Who is most likely to be affected by these changes? People who did not purchase MEC last year and those who received advance credits are more affected and will face additional calculations, worksheets and forms when they file. On the other hand, taxpayers covered all year by non-Marketplace MEC — such as employer plans, private health insurance, and government plans such as Medicare and TRICARE — simply check a box on the tax return. Some taxpayers will have even more complicated filing issues. For example, self-employed Notaries claiming the self-employed health insurance deduction but who also qualify for the PTC will perform special calculations for the correct deduction and credit. Any taxpayer who experiences changes in marital status and family size may also have additional complications on their return. 3. What new information related to health care needs to be reported on this year’s tax filings? Virtually all tax filers must indicate whether they had MEC all year, qualify for an exemption — or pay a penalty. In some cases, taxpayers may have part-year MEC, an exemption that applies for some months, and a penalty calculation for the remaining months. Those who received the advance premium tax credit must do a reconciliation to compare the PTC with the advance. 4. What records/documentation will Notary taxpayers need to have? Taxpayers with Marketplace insurance should have received a new information document, Form 1095-A. They will need this form to complete their return with the new Form 8962, to calculate their premium tax credit. Some exemptions (notably, hardship exemptions) must be applied for through the Marketplace. Taxpayers who have already done so and received a certificate should use the exemption certificate number (ECN) on Form 8965 to report the exemption. Taxpayers who still need to apply should do so as soon as possible. 5. Any other recommendations for Notaries regarding health care information on tax returns? Taxpayers who had Marketplace insurance in 2014 but did not receive advance credit payments are not required to complete Form 8962. However, they should still check to see if they qualify for the PTC and, if so, complete the form. Taxpayers with Marketplace insurance in 2015 should inform the Marketplace of substantial changes in income and life events such as marriage, divorce, birth of a child, etc. What happens to us who cannot afford to get medical help because our healthcare premium is very expensive and all the standard deductibles are ridiculously high but yet we make too much money because we "work" to get any subsidies. Our income has not changed in over 5 years and it will goes to keep our household running and we live in a 3 bedroom cape!